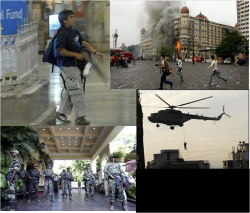 After 26/11 Mumbai Terror attack the entire country - India was gripped in fear and helplesness with a high sense of anger. Every one was bussy talking about failure of the system and started the blame game. Blaming the politician, blaming the security system, blaming others was the name of the game. At this point being fedup with seeing, reading and hearing about the blame game in the media a group of Citizens in Mysore thought that it is high time Citizens created a moment to bring in Harmony leading to Freedom from Terror without joining the blame game but just ACT. The acronim ACT meaning not only to just ACT but also forming Alert Citizens Team. View more presentations from Grant Heller. View more presentations from shivaram.